On a recent trip to Santa Rosa Island, my wife saw two bald eagles flying down the shore of Santa Rosa Sound. 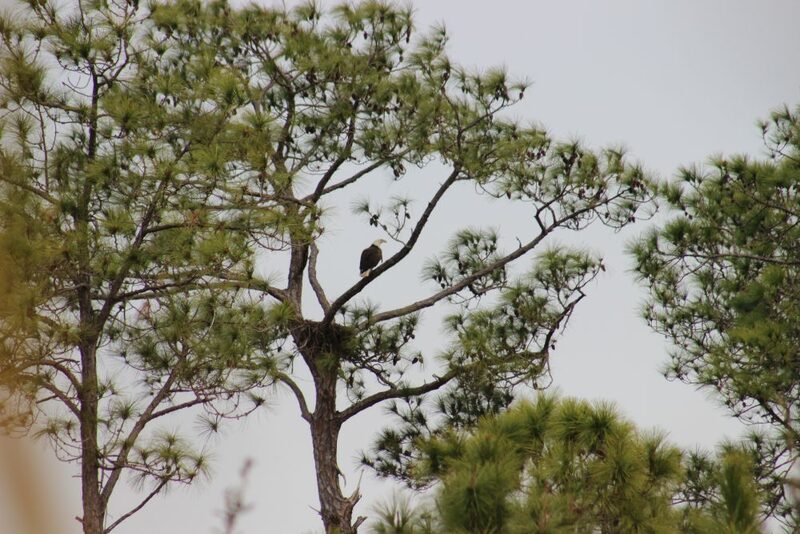 Wanting photos of the nest, we searched and found two individuals in a small nest (for an eagle) in a tall pine. One individual was an adult, the other a juvenile. Bald eagle nest on Santa Rosa Island. Seeing bald eagles is like seeing bottlenose dolphins. I do not care how many times you have seen them over the course of your life, it is always exciting. Growing up here, I do not remember these animals in our area. Of course, their numbers suffered greatly during the DDT period, and poaching was (and still can be) a problem. But both the banning of DDT and the listing on the Endangered Species List did wonders for this majestic bird. They now estimate over 250,000 breeding populations in North America and 88% of those within the United States. 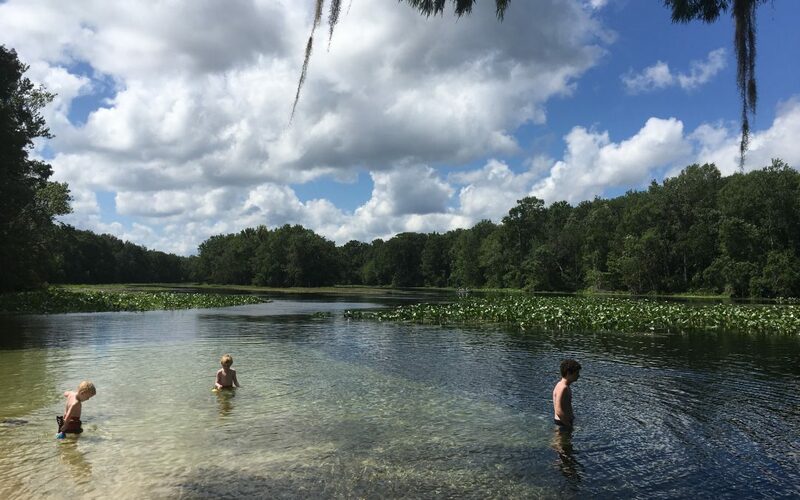 Florida has some of the highest densities of nests in the lower 48 states. 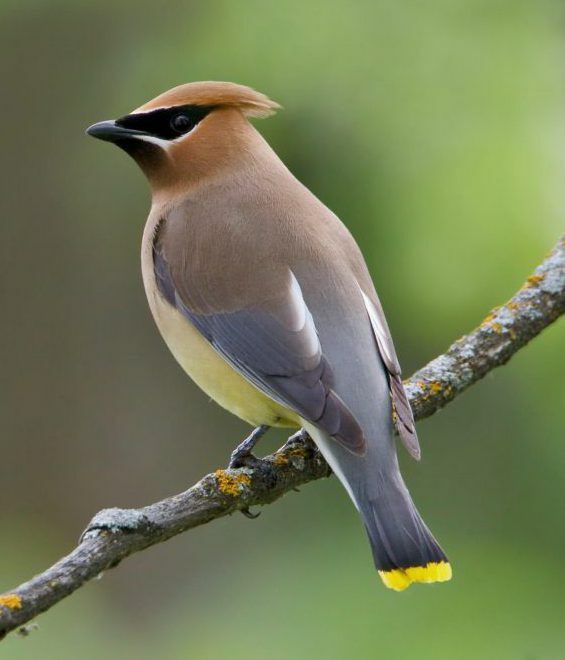 Though the bird is no longer listed as an endangered species, it is still protected by the Florida Eagle Rule, the federal Migratory Bird Treaty, and the federal Bald and Golden Eagle Protection Act. 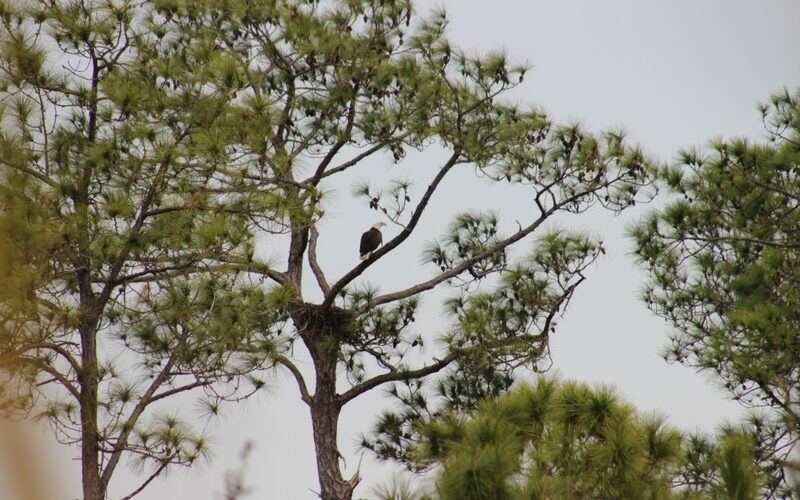 It was shortly after Hurricane Ivan that someone told me they had seen a bald eagle in the area. My first reaction was “yea… right… bald eagle”. Then one afternoon on my back porch, my wife and I glanced up to see two flying over. Now we see them every year. The 2016 state report had 12 nesting pairs in the Pensacola Bay area. They were in the Perdido Bay area, Escambia Bay area, Holly-Navarre area, and Pensacola Beach area. Many locals now see these birds flying over our coastlines searching for food and nesting materials on a regular basis. Bald eagles are raptors with a thing for fish. However, they are opportunistic hunters feeding on amphibians, reptiles, crabs, small mammals, and other birds. They are also notorious “raiders” stealing fish from osprey, other raptors, and even mammals. They are also known scavengers feeding on carrion and visiting dumps looking for scraps. Benjamin Franklin was in favor of the turkey for our national emblem because the bald eagle was of such low moral character – referring their stealing and scavenging habit. The Cornell Lab of Ornithology list the bald eagle as a year-round resident along the Gulf coast, but most of us see them in the cooler months. Their nesting period is from October through May. 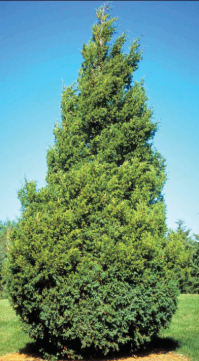 They select tall trees near water and build their nest just below the crown of the canopy. One local ecotourism operator has noticed their preference for live trees over the dead ones selected by osprey. Eagle nest are huge. A typical one will be 5-6 feet in diameter and 2-4 feet tall. The record was a nest found in St. Pete FL that was 10 feet in diameter and over 20 feet tall! The inside of the nest is lined with lichen, small sticks, and down feathers. One to three eggs are typically laid each season, and these take about 35 days to hatch. Both parents participate in nest building and raising of the young. 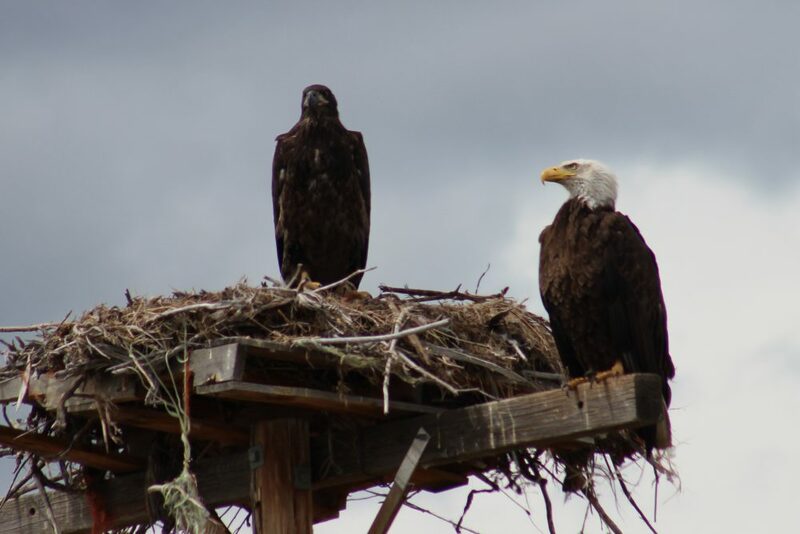 Viewing bald eagles is amazing, but approaching nests with eggs, or hatchlings, can be stressful for the parents. 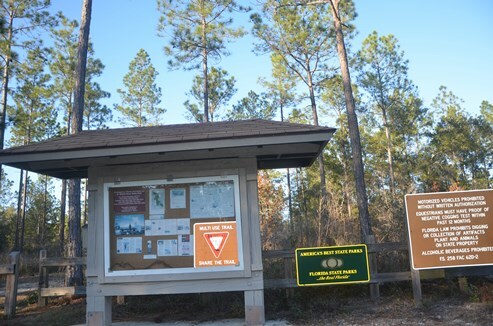 Hikers and motorized vehicles should stay 330 feet from the nests when viewing. Bring a distance lens for photos and be mindful of your presence. 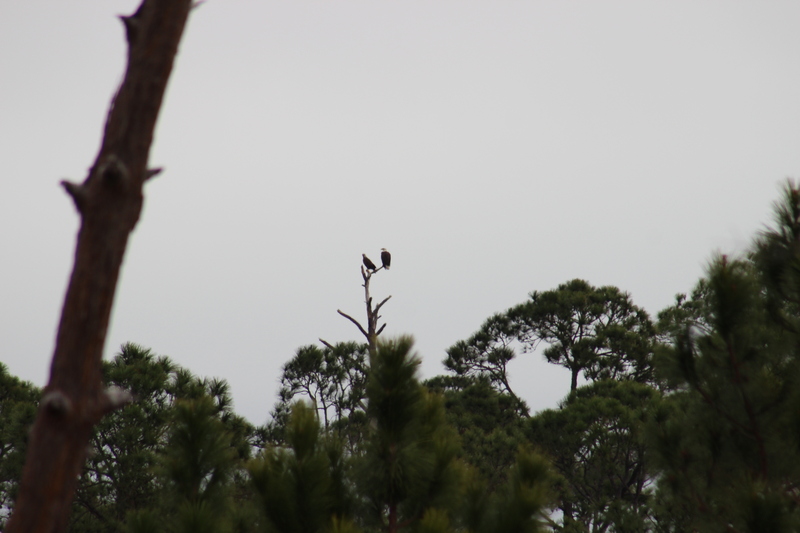 An adult and juvenile bald eagle are perched in a dead tree near their nest. No matter how times you see these birds, it is still amazing. Enjoy them. Florida Fish and Wildlife Conservation Commission. Bald Eagle Management. 2018. https://myfwc.com/wildlifehabitats/wildlife/bald-eagle/. Jimbo Meador, personal communication. 2017. Williams, K. 2017. All About Birds, the Bald Eagle. Cornell University Lab of Ornithology. https://www.allaboutbirds.org/guide/Bald_Eagle/overview. As a kid growing up here along the Gulf Coast, I had never heard of an osprey. Now, there is at least one mating pair on almost every body of water in the Pensacola Bay area. Where did this once unknown bird come from? How has it successfully colonized our coastal waterways? 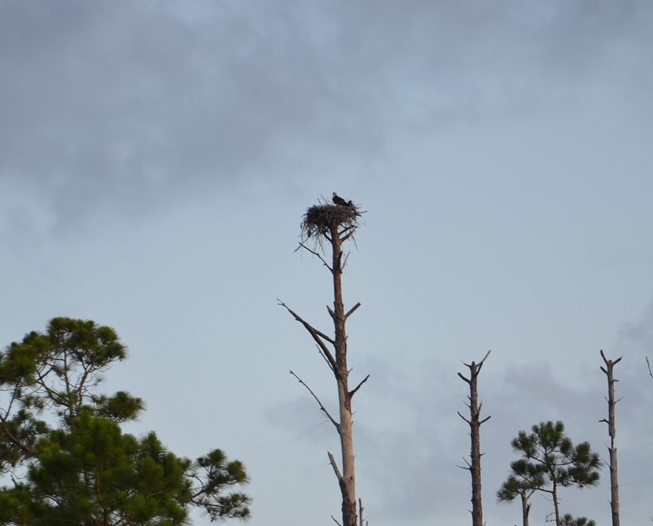 Osprey nesting sites are commonly near water, and their food source. The osprey, like many other fish eating birds, was a victim of the DDT story. This miracle pesticide was developed to battle insects attacking food crops but was found to be useful against mosquitos and many other unwanted pests. It was sprayed everywhere using planes, trucks, and tractors. With an extremely long half-life, wherever it landed it was going to be around for a while – it can still be found in the sediments of the Pensacola Bay System. It was one of those compounds that was difficult to excrete through an organisms excretory system – thus it accumulated within their tissues, and as organisms fed on other organisms, it was passed up the food chain – bioaccumulation. Birds of prey who fed on fish would accumulate DDT as well. It caused the shells of their eggs to become thinner – so nesting was not successful – and many of the aquatic birds of prey (pelicans and eagles alike) declined in number. DDT was banned in 1970s and many of these fish eating birds have made a remarkable recovery – a true success story. So who is this fish eating bird of prey that can be found on dead trees and light posts all over the bay area? Ospreys (Pandion haliaetus) are members of the family Accipitridae – the hawks and eagles. They are predators with hooked bills and sharp talons to grab and dispose of prey. Ospreys can be identified by the hawk like silhouette hovering over a local waterway searching for fish – their primary food. They are usually in pairs and, at times, the young are hovering nearby. Their call is a high pitch chirping sound and if seen on a tree, or on their nest, they are brown on top and white beneath. These birds are common along both fresh and saltwater bodies of water. Ospreys prefer waterways where fish are plentiful. 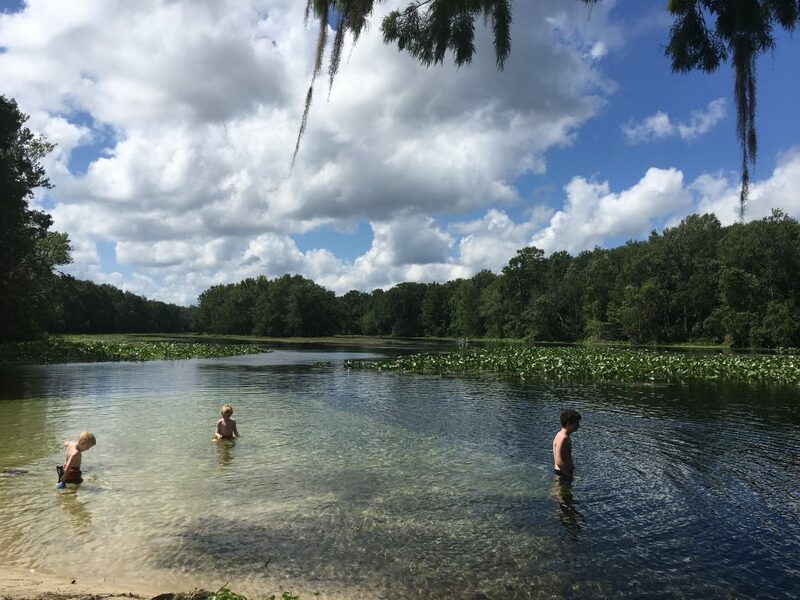 For more successful hunting, they like waters that are relatively shallow and nesting locations that protect the young from mammalian predators. Many local osprey prefer large dead trees for their nests, and will often use manmade structures – such as power poles, navigation markers, and special platforms on poles placed there for the purpose of osprey nesting. Osprey feed almost exclusively on fish. They are unique in the hawk world in that their talons can adjust so that the captured fish can be turned parallel to the osprey’s body – making it more aerodynamic when returning to the nest. Hunting osprey hover over the water searching and then dive, talons first into the water. They can only reach depths of about three feet so they typically hunt for surface schooling fish, or in shallow waters. Most of their captures are between 8-10 inches and include such fish as speckled trout, mullet, and catfish. These birds are monogamous (mating pairs breed for life). During the breeding season, the male will collect sticks for the construction of their large nests. Bringing them back to the female, she will begin to arrange and construct the nest. The male provides seagrass and flotsam for the inner lining. There is a pre-courtship dance where the returning male flies over the nest with a fish. The pair produce between 3-4 eggs. Both parents will incubate the eggs but the female does the lions share. She will incubate while the male hunts. Returning with a fish for her, she will fly to a nearby branch to feed while he incubates the eggs – though they have seen the males incubate even without feeding the female. Evening incubation is always the female. After hatching, the male will bring food to both the female and young. She does not leave the young at all for about 14 days. Afterwards, they will be left alone for periods of time, and are usually fledged by 50 days. Data shows that young fledglings rarely disperse more than 30 miles from the nest they hatched from – suggesting slow dispersal of this species. The mating pair will return to the same location for nesting every year for up to 30 years. There are few predators of osprey due to their nesting habits. In some locations, where they nest on the ground, coyotes have been a problem. Locally, bald eagles are known to try to grab hatchlings and, occasionally, adults. There have been reports of crocodiles taking adults from the water in South Africa; this may be the case in South America as well, but no reports of American Alligators doing the same. This is now a common bird along our shores and is a true conservation success story. National Audubon Society Field Guide to North American Birds; Eastern Region. Ed. J. Bull, J. Farrand Jr. pp. 795. Osprey. Neotropical Birds. Cornell Lab of Ornithology. https://neotropical.birds.cornell.edu/Species-Account/nb/species/osprey/overview.